Oh noh! It’s been 4 months since our wedding and I’m not done with all the suppliers review. I’m so sorry readers for not updating our wedding site, anyway, I promise to finish it before year end. Haha. Para sa 2013, more on Married Life naman. I already explain on my previous post, why we choose to get married at NSSH. I will give a very good review about this church, ever since we’re arranging our church requirements, all the staffs in the office are very nice and accommodating, I love the way they treat every persons who asks for their help. One year before our wedding day, they give us guidelines to be considered for choosing NSSH as our wedding place. They are very strict in terms of time and attire. They requested me to send them a copy of our invitations and missallete before printing it. They also wish to see the entourage dress just to make sure that we follow their rules and regulations. They send us soft copy of wedding rules and regulations for Photo/Video Coverage and proper planning of the sacrament of marriage. 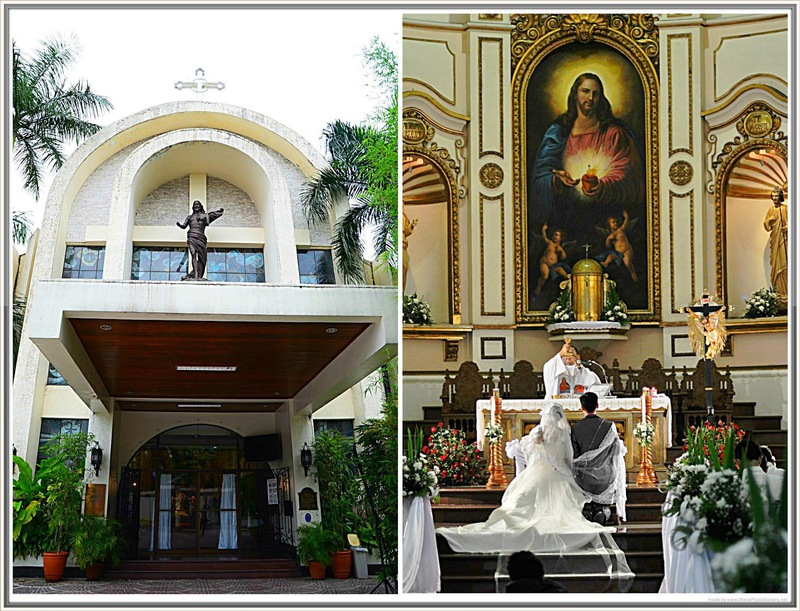 Getting married in Church is very intricate, there are lots of legal documents that you need to accomplished before booking for the prefer date. But since it was a mutual decision to get married in NSSH, we give our 110% effort to complete the list. 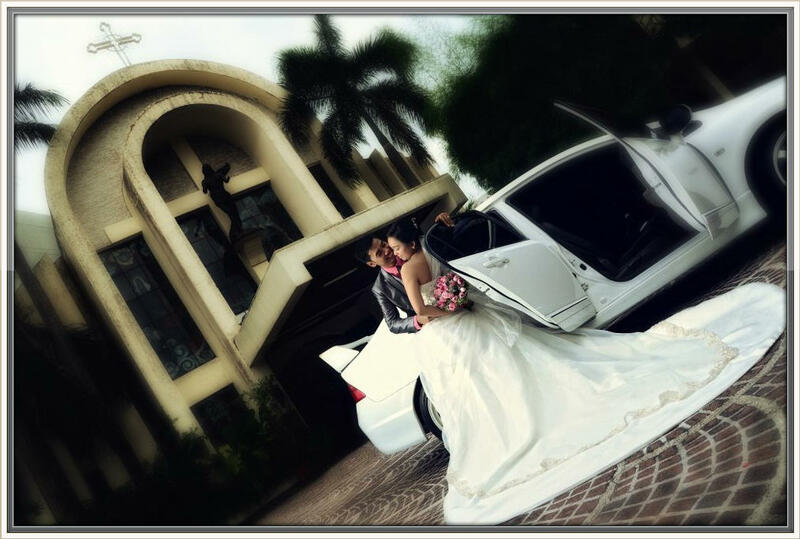 We booked July 24, 2012, Tuesday 4:00pm slot for our wedding. 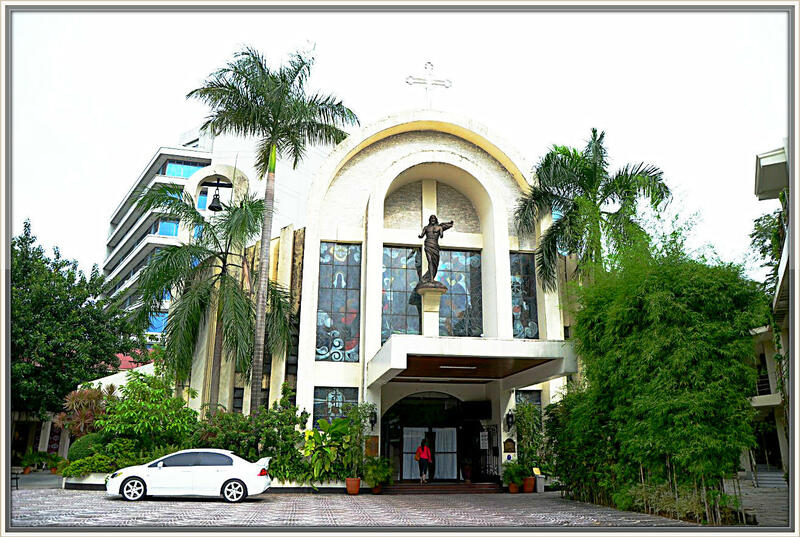 We chose to upgrade our facilities from electric fan to centralized aircon. We want our guests to be more comfortable while witnessing our special day. 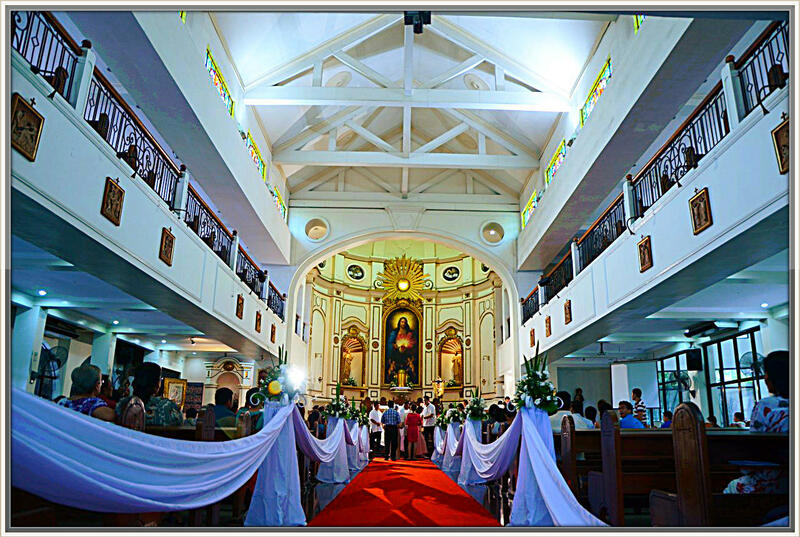 So getting married in NSSH is pricey, we pay Php 25,000.00 for the upgrade including 1.5 hours use of the church, church-coordinator, priest, candles and basic flower arrangement. The Chuch itself is a beauty, so we opt to have a simple and elegant set-up just to enhance the beauty on it. We don't want to over do the decor, and lose the real ambiance of the place. On our wedding day, there are church coordinators who assisted our OTD, they are really organized and make sure that everything is under control. They instructed our entourage on what to do, they give my groom a simple advice on how to walk and they keep on reminding our guest for the proper attire. Cha – Naiwan ko yung shawl ko sa bahay. Ako – Huh? Pano nay un, bawal sa church ang walang shawl. Then, when I saw her putting our 2nd veil, she’s wearing a shawl. So pano nangyari yun? So here it goes..
Ako – Cha, kala ko ba wala kang shawl? 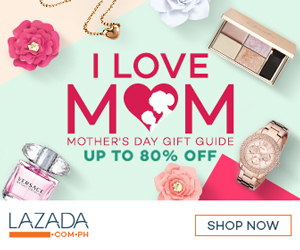 Cha – Wala nga, kaya hinati namin ni Aloi yung kanya..
Boom! Napaka creative talaga ng mga friends ko.. Well, actually, ganon lang talaga kahigpit ang NSSH when it comes to proper attire, bawal ang tube, bawal ang sleeveless, basta bawal nakalabas ang shoulders. Anyway, they are very strict in time. The aircon will be turn- on 30 minutes before our scheduled time, so we put on our invitations that the ceremony will start at 3:30pm, di ko naman akalain na darating ang mga guest ng 2:45pm! Oh noh! Mahirap na kc may ma-late, kaya inagahan namin ang lagay sa invitation, good thing when I was about to march all our guests were already inside the church. O db walang late! Prior to that, one church coordinator approach me inside bridal car and instruct me on what to do when I enter the church. Para bang lalo tuloy akong kinabahan, but I thank Tita Eden for wonderful reminders that she told me. Even though Fr. 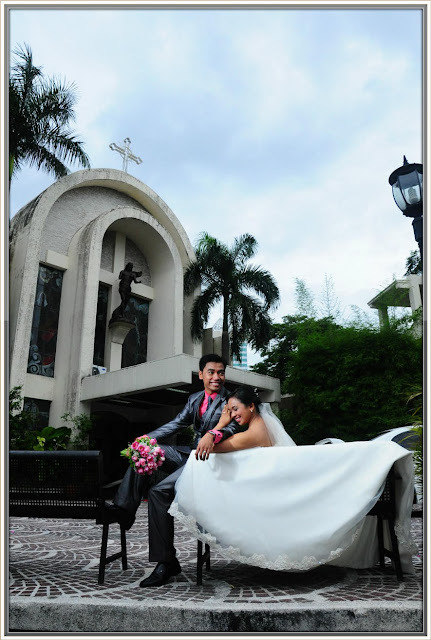 Clem Ignacio (rector of Quiapo Church) wasn’t able to make it on our wedding day, our presiding officer Fr. Ogie gives a BEST and PERFECT homily that we will treasures for the rest of our lives. 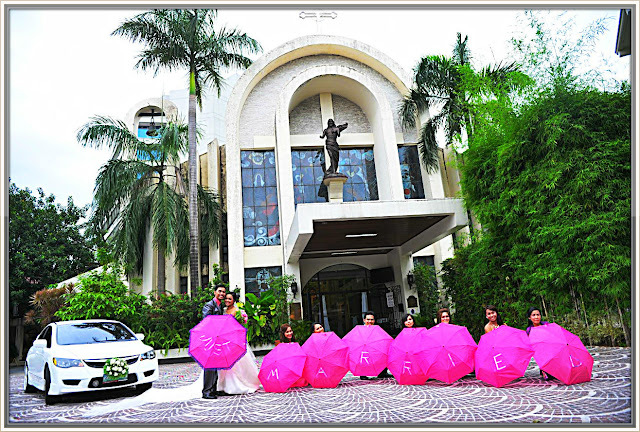 Overall, NSSH is the perfect place for us, where the exchange of “I DO’s” happened.